At The Trillium Residences. Spoil Yourself. You know you deserve it. Premium Location. 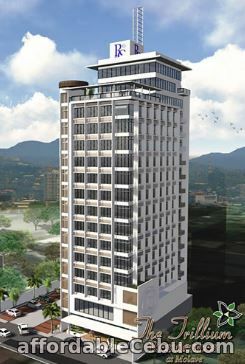 Just 2-blocks away and short walking distance to Ayala Mall. Flood-free area and elevated. Near schools, hospitals, churches and hotels. The Trillium Residences is a Residential Condominium with a Commercial Component on the Ground Floor. 2nd Floor – Function Hall – convertible into 4-5 functions rooms. 3rd Floor – Office Spaces For Lease. 4th to 14th Floor – Residences – Studio, 1BR and 2BR. 15th Floor – Amenities such as a Swimming Pool with waterfalls, a Daycare Room, a Gym & a Game Room that could be converted in a Business room/center.